A man has sadly died after a tree fell on the car in which he was travelling in Egham earlier today (17 February). We are appealing for witnesses following a fatal collision involving a car and pedestrian in Staines. Two arrests have been made in connection to a robbery in Cobham on Sunday (10 February). A man has been jailed for five years for class A drug offences following a hearing at Guildford Crown Court yesterday (Thursday 14 February). A man has been charged in relation to an assault on a man in The Casino nightclub, Guildford on October 14, 2018. Two men have been arrested after the discovery of a cannabis factory in Cobham last night (14 February). 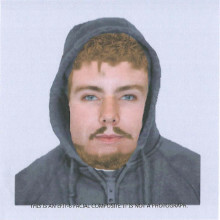 We’ve released an E-fit of a man we would like to speak to in connection with a burglary in Shalford last Thursday (7 February). ​Enquiries remain ongoing after a 12-year-old boy was approached by a man on his way to school in Epsom on Tuesday morning (12 February). A drug dealer was jailed for more than three years after pleading guilty to being concerned in the supply of class A drugs when he appeared at Guildford Crown Court on Friday (8 February). We are appealing for witnesses after two men were assaulted in Ash last night (13 February). A man was jailed for more than five years on Friday (8 February), for class A drugs offences after thousands of pounds worth of cocaine was found hidden in his sock. ​A 16-year-old boy has been remanded in custody, charged with wounding with intent and possession of an imitation firearm, after he appeared at Guildford Magistrates’ Court earlier today (13 February). Can you help us locate wanted man Kieran Smith? ​We are appealing for your help in locating wanted man Kieran Peter Smith from Northamptonshire. ​A gang of six men who appeared to be legitimate businessmen, but were nothing more than “liars in suits” have been convicted with conspiracy to launder £750,000 at Guildford Crown Court. Do you recognise this man wanted in connection with attempted burglary? 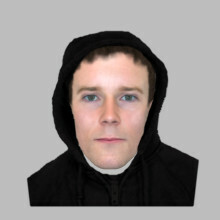 ​An e-fit has been released of a man we would like to speak to in connection with an attempted burglary in Shepperton last month. ​A 20-year-old man has been jailed after pleading guilty to causing grievous bodily harm in an unprovoked attack on a father and son in Guildford in 2017. A man has appeared in court charged with the murder of a woman in Ewell on Friday (8 January). Police have arrested a 36-year-old man for driving and drugs offences following a pursuit in Chiddingfold in the early hours of Saturday (9 February). ​A man from Surbiton has been jailed for five years and three months for possession with intent to supply Class A drugs after being arrested in Epsom in November 2018.